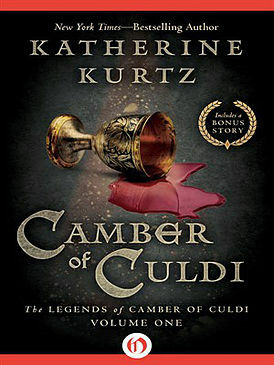 You can now download the omnibus comprised of all three volumes of Katherine Kurtz's The Legends of Camber of Culdi for only 3.99$ here. It's the perfect starting point for anyone interested in discovering the Deryni saga! 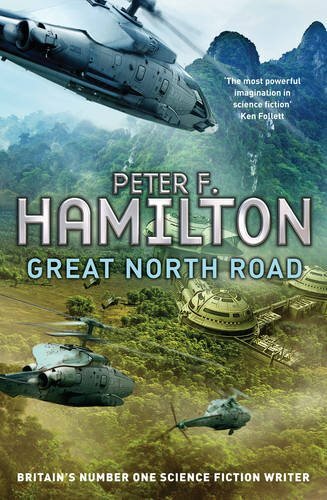 You can also get your hands on the digital edition of Peter F. Hamilton's Great North Road for only 4.99$ here. Investigating this potential alien threat now becomes the Human Defence Agency’s top priority. St Libran bio-fuel is the lifeblood of Earth’s economy and must be secured. A vast expedition is mounted via the Newcastle gateway, and experts are dispatched to the planet – with Angela Tramelo, grudgingly released from prison. But the expedition is cut off deep within St Libra’s rainforests, and the murders begin. Angela insists it’s the alien, but her new colleagues aren’t sure. Did she see an alien, or does she have other reasons for being on St Libra? 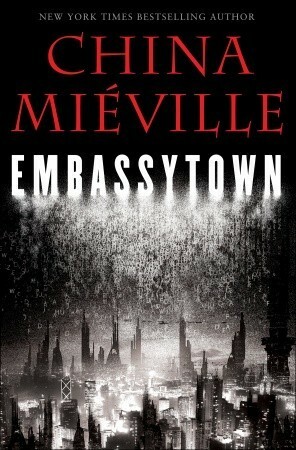 You can now get your hands on China Miéville's Embassytown for only 1.99$ here. May he rest in peace. 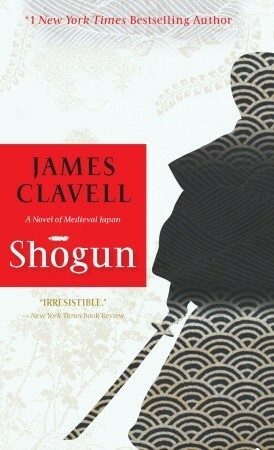 . .
You can download James Clavell's international bestselling masterpiece Shogun for only 2.99$ here. Dean Koontz' The Crooked Staircase debuts at number 5. Margaret Atwood's The Handmaid’s Tale is down two spots, finishing the week at number 4 (trade paperback). For more info about this title: Canada, USA, Europe. Ernest Cline's Ready Player One is down three positions, ending the week at number 9 (trade paperback). 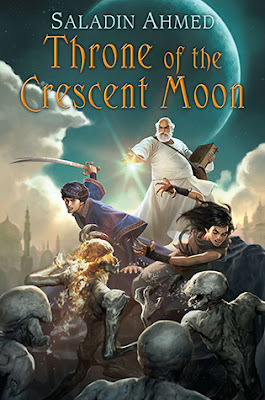 You can now download Saladin Ahmed's Throne of the Crescent Moon for only 1.99$ here. There is a price match in Canada. 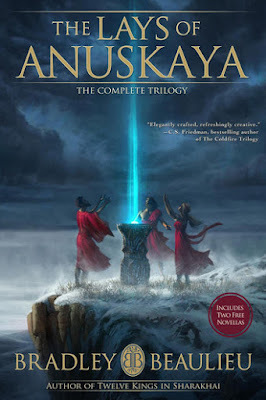 A finalist for the Hugo, Nebula, Crawford, Gemmell, and British Fantasy Awards, and the winner of the Locus Award for Best First Novel, Throne of the Crescent Moon is a fantasy adventure with all the magic of The Arabian Nights. "Medecine's come a long way in the last hundred years. Imagine where it'll be in a hundred more." The young Russian woman was unimpressed. "It will be where it is now. Lagging behind war and every other way men hurt one another." As you know, I feel like a complete idiot for having waited for so long to finally give Jacqueline Carey's Kushiel novels a shot. Now that I've read and fell in love with the first two trilogies, I was getting ready to start the third series. But when I learned that she had a stand-alone book titled Starless getting published this spring, I elected to read that one instead. Understandably, I had high hopes for this one. And although Starless begins in a way that makes it impossible to put down, sadly the plot sags in the middle and peters out toward an ending that did not quite live up to my lofty expectations. I'm not sure what happened along the way. From the get-go until Khai leaves the Fortress of the Winds and the desert behind, this novel is as good and engrossing as anything I've read from Carey. So much so that I believed that Starless would be the fantasy title of the year. Then things gradually took a turn for the worse and the book never truly recovered afterward. Which is a shame, for it's been a long time since I was hooked to such a degree by the first few chapters of a novel. I've said it a hundred times: Jacqueline Carey's worldbuilding has always been amazing. Unfortunately, I feel that the author never received the respect she deserves in that regard. With each new book, she took us on fabulous journeys that enabled readers to discover more about her Kushiel universe and she never disappointed in doing so. Richly detailed and imagined in terms of cultures, religions, and politics, these works were textured and sophisticated novels that hit all the right buttons. Given that Starless was a stand-alone book, I figured that it wouldn't be as dense and sprawling as most of the Kushiel installments. And yet, early on Carey's worldbuilding shines again. Her depiction of life in the desert and the Fortress of the Winds was particularly well-done. 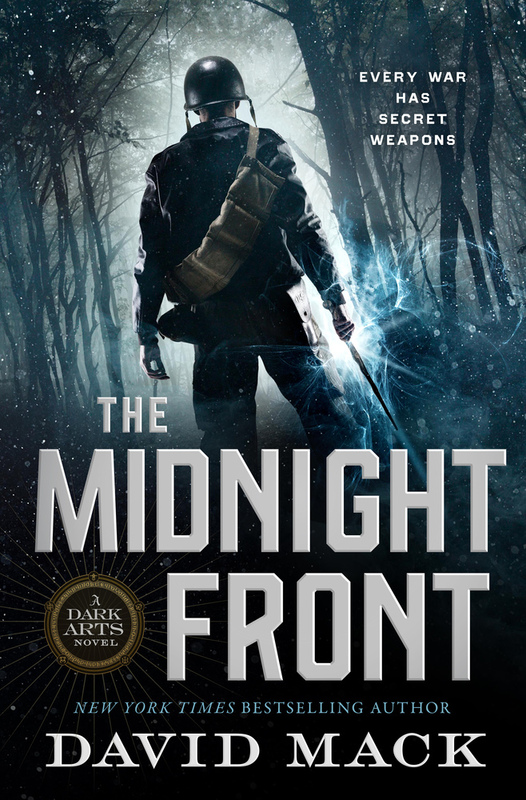 The author perfectly captured the unforgiving nature of that environment, and Khai's early years and training made for a fascinating read. The Middle Eastern/Islamic setting was a welcome change from the the traditional European medieval analog. Her depiction of the city of Merabaht and the House of the Ageless and the court of the Sun-Blessed was also interesting. However, the web of murder and political intrigue that Carey wove through this novel was not as shocking as the politicking she accustomed us to in previous works. It's hard to tell if initially this was meant to be a two-installment sequence, for the subsequent journey across the currents felt incredibly rushed compared to the rest of the book. Hence, her depiction of Papa-ka-hondras and the other countries/islands visited during their quest felt cursory at best. A world away from the wonderful worldbuilding skills Carey demonstrated during the great expeditions of the Kushiel books. The same goes for the fallen gods and goddesses, whose histories and personalities were not as well-drawn as I would have liked. The tale is told from the first person narrative of Khai. Given up as a baby to be raised and trained by the Brotherhood of Pahrkun to become Princess Zariya's shadow, this young warrior's perspective is that of a deeply flawed individual that has been betrayed by those he trusted the most. And though characterization has always been a facet in which the author usually excels, the introduction of Zariya essentially killed the story for me. Khai, who up until that point was a captivating protagonist, becomes a lovesick puppy as soon as they are introduced and remains so for the duration of the novel. It's been a while since I came across a character I found this annoying. The more so because Khai is never the same afterward. My dear, dearest, my heart, my love, yada yada yada. Zariya cannot speak to anyone without using such terms of endearment and this gets old real fast. Hence, from the moment Khai and Zariya met in the Palace of the Sun, Starless lost most of what had made it a compelling read. And since the princess' storyline lies at the heart of the plot, it made it impossible for me to get over that. 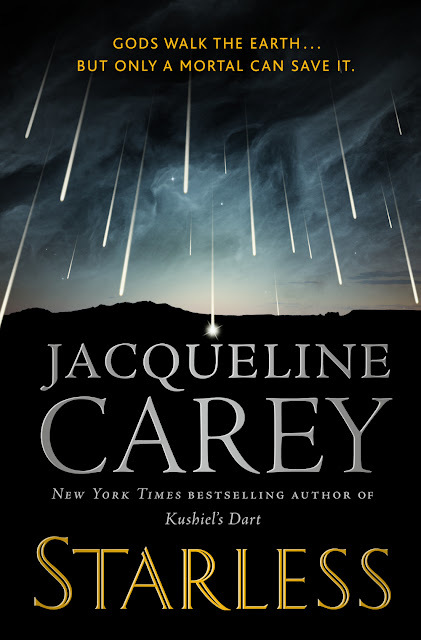 Thankfully, Jacqueline Carey has a knack for creating engaging and memorable secondary characters, and once again she came up with a good cast. Chief among them Brother Yarit, Vironesh, Jahno the Seeker, and Brother Saan. In their own way, they have all left their mark on this novel. Kudos to Carey for tackling the transgender issue and doing it well. 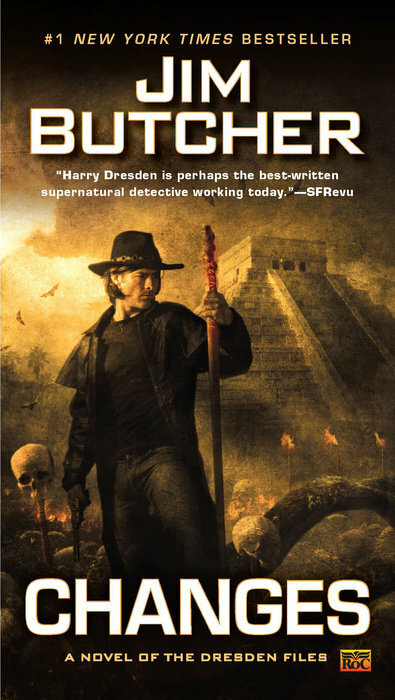 Pace was never really an issue throughout Starless, but there is no denying that the last portion of the novel, the one focusing on the heroes' journey to save the world, felt quite rushed at times. The rhythm pertaining to the first part, the one focusing on Khai's training, was slower and covered several years. As a result, you got to know Khai and his fellow members of the Brotherhood of Pahrkun a lot more than the rest of the characters we meet later in the book. The desert truly came alive and that portion of the plot was head and shoulders above the rest of the novel in terms of quality and originality. I often complain that works are sometimes too long, that they would have been better if a number of chapters had been excised. On the contrary, I felt that Starless probably would have benefited from a longer pagecount. Weighing in at 592 pages, it's already a big book, true. And yet, the final journey felt too rushed, the locales visited and their people not richly depicted enough, for the endgame and finale to be as memorable as they could have been. For a while, it felt as though Starless would be the fantasy book to read in 2018. Unfortunately, as the story progressed it failed to live up to that potential. Hence, what could have been a great work turned out to be merely a good one. For many readers, that will be enough. But I can't help but feel a bit disappointed. . .
You can get your hands on the digital edition of Robert Jackson Bennett's City of Stairs for only 2.99$ here. 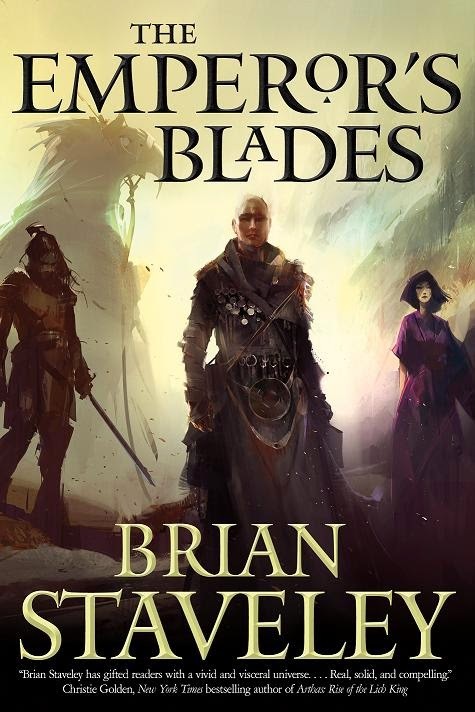 You can also download Brian Staveley's The Emperor's Blades for only 2.99$ here. There is a price match in Canada. Margaret Atwood's The Handmaid’s Tale is up four spots, finishing the week at number 2 (trade paperback). For more info about this title: Canada, USA, Europe. Ernest Cline's Ready Player One is down five positions, ending the week at number 6 (trade paperback). You can download Justin Cronin's international bestseller, The Passage, for only 1.99$ here. 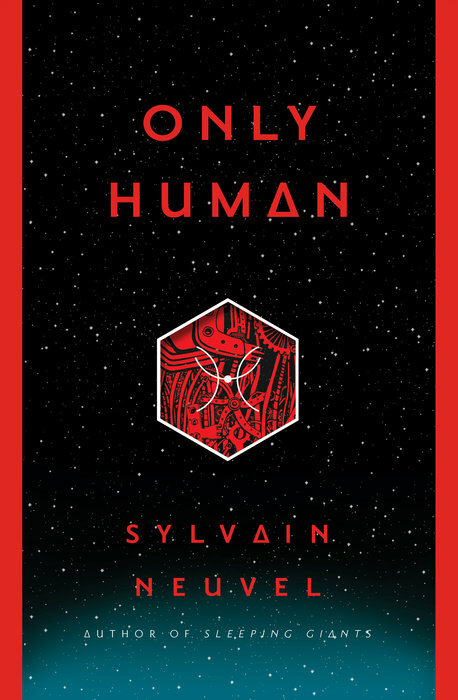 With Sleeping Giants and Waking Gods, Sylvain Neuvel came up with two interesting, thought-provoking, and entertaining novels. Waking Gods ended up on my Top 10 of 2017 and I firmly believed that Only Human would be one of my favorite reads of 2018. Imagine my shock when I realized that this final installment was a world away from its predecessors in terms of quality and originality. I'm extremely sad to report that Only Human is, thus far at least, my biggest disappointment of the year. And due to the fact that it's such a lackluster effort, to a certain extent it killed the entire series and will make it hard for me to recommend The Themis Files in the future. As I mentioned in my previous reviews, Neuvel's The Themis Files is reminiscent of Andy Weir's The Martian and Max Brooks' World War Z, but only as far as the format is concerned. Once again in Only Human, the tale is told through a variety of recorded interviews, mission logs, and journal entries. I had doubts regarding such a dossier-like format at the beginning of Sleeping Giants, yet one soon got used to the unconventional narrative structure. True, it remains an unorthodox way to convey the story, but it sort of gives this series its unique flavor. For some reason, though it did work well in the first two volumes, it was often off-putting in this final installment. Then again, so many facets of this books were irritating, and even exasperating, that it had to take its toll on the narrative structure as well. Thankfully, Waking Gods did not suffer from the middle book syndrome. Sleeping Giants was released without much fanfare, with no lofty expectations. But with the critical and commercial success of his scifi debut, the second volume had to deliver in order to satisfy fans. Which it did, with the sequel living up to the potential generated by Sleeping Giants and then some! 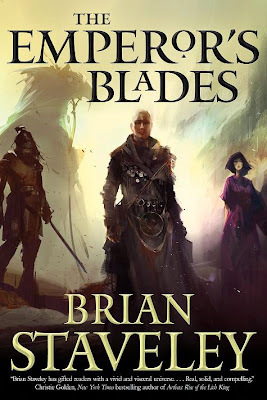 Understandably, expectations were high for the third installment and I wonder if the pressure got to Sylvain Neuvel and had a negative influence on his writing process. For, in the end, other than in a few scenes, Only Human features nothing that made the first two volumes such compelling reads. The characterization, which was the heart and soul of both Sleeping Giants and Waking Gods, was by far the weakest aspect of this novel. Surprisingly, it was so poor and occasionally insipid that it made this book a failure to launch from the get-go. In the past, the interviews and journal entries allowed readers to delve into the psyche of every character and to get to know them on a deeper level. The debriefings and interviews used to be conducted by a shadowy figure of power whose identity was finally revealed in Waking Gods. For the most part, in Only Human he was replaced by Major Katherine Lebedev. A member of the Russian Main Intelligence Agency, it looks as though she was taken straight out of a Glee episode. Vapid in every sense of the word, she has absolutely no credibility. And as the main pillar of the entire narrative structure, she almost single-handedly killed this novel. Neuvel's gag-a-minute attempts made for some dumb and weak humor. A far cry from the brilliance and the wit which he demonstrated in the first two installments. The mission logs from Captain Bodie Hough and Lieutenant Barbara Ball are even more stupid, if you can believe that. How an author who has shown how intelligent and thought-provoking he could be fall so low as to come up with something this half-assed, I'll never know. Indeed, it often felt as though this was written by a totally different person. Dr. Rose Franklin and Vincent Couture are back, of course, but the supporting cast is vastly inferior to those featured in the prequels. The absence of the powerful, high-placed, and cold-blooded man in charge of the interviews is a game-changer as far as the narrative is concerned. Kara Resnik's death was also deeply felt in sequences that have to do with Vincent and Eva. The mysterious Mr. Burns makes a few appearances and is always as fascinating as he used to be. But overall, the characterization was a disaster. Both Sleeping Giants and Waking Gods were strange sorts of hybrids. The books were science fiction works that explored larger-than-life concepts and their impacts on the protagonists themselves and the world at large. In addition, they were political novels that explored the geopolitical conflicts caused by the shocking appearance of numerous robots similar to Themis all across the globe. 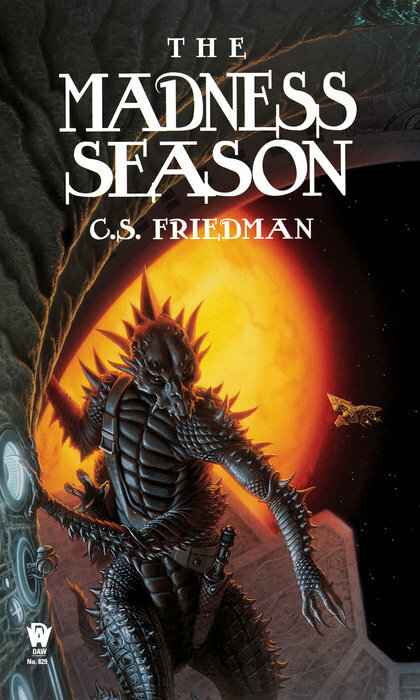 Although science played a major role in both, I don't consider them to be hard scifi books. There were just enough scientific details to satisfy purists, yet the narrative was imbued with a sense of wonder that elevated these novels to another dimension. The realization that we are not alone in the universe and that an ancient civilization is light-years ahead of us technologically had dramatic repercussions all over the world, and now Earth seems threatened by that vastly superior foe. I feel that Sylvain Neuvel did a good job portraying just how arrogant and stupid mankind can be during times of crisis. And the way Waking Gods ended set the stage for what could only be a gripping finale. Why the author decided to dumb it all down, so to speak, in Only Human, I'll never know. The Themis Files were undoubtedly one of the most captivating and engaging science fiction series of recent years and it had all the ingredients required for a grand endgame that would close the show with style and aplomb. Alas, it was not to be. . . Unfortunately, by turning his back on everything that made the first two volumes such enthralling and entertaining reads, even though things get better closer to the end, this novel can be nothing but a major disappointment. There are a few scenes that recapture the brilliance and intelligence of the prequels, but these are few and far between. All in all, Only Human was an uninspired effort in which poor characterization and a weak plot were replaced by lame attempts at humor. All filler and no killer for most of the novel, I'm afraid. It often felt as though Sylvain Neuvel knew exactly how he wanted to end this trilogy, but he had no idea how to get readers from the moment the robot showed up on another planet to the endgame between Russia and the USA back on Earth. 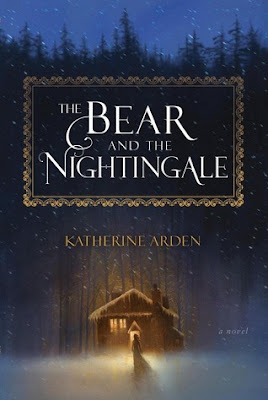 You can now download Katherine Arden's The Bear and the Nightingale for only 1.99$ here. 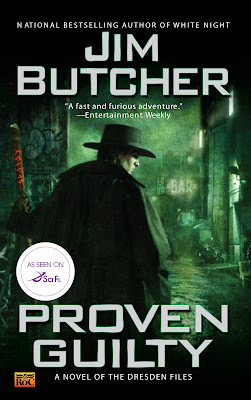 You can also download Jim Butcher's Proven Guilty for only 1.99$ here. There is a price match in Canada. Finally, you can now get your hands on the digital edition of Guy Gavriel Kay's The Summer Tree for only 2.99$ here. 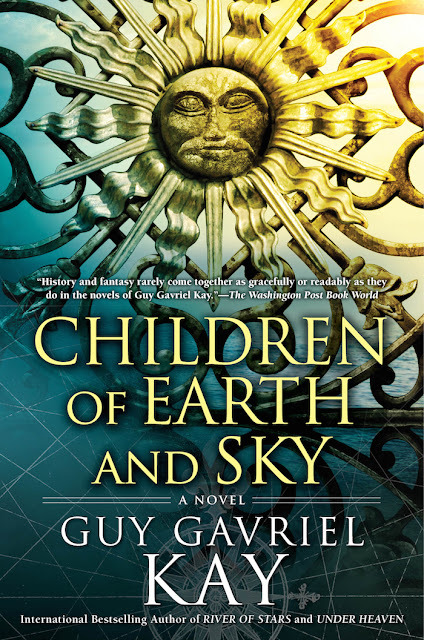 You can now download Guy Gavriel Kay's Children of Earth and Sky for only 5.99$ here. 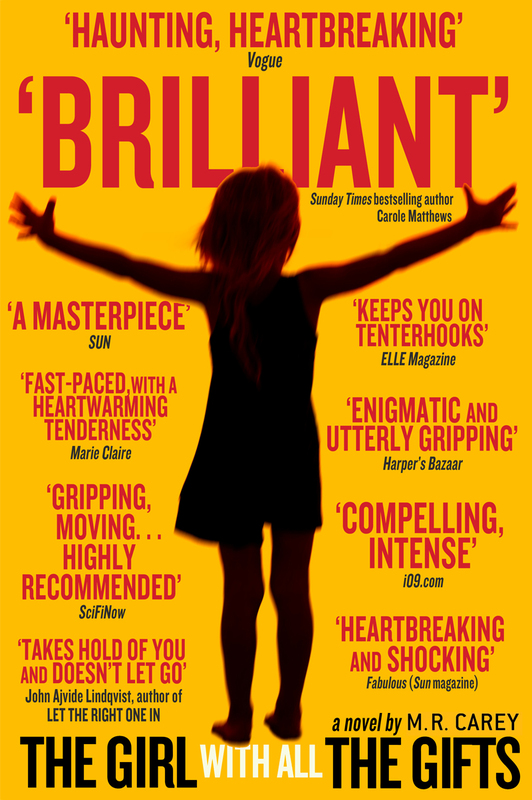 You can now download M. R. Carey's The Girl With All the Gifts for only 2.99$ here. Religion can inspire some pretty strange things. Alma Katsu's The Hunger is billed as a tense and gripping reimagining of one of America's most haunting human disasters: the Donner Party with a supernatural turn. Rave reviews abound and I was expecting something akin to Dan Simmons' The Terror. Considering how much I loved that book, I had lofty expectations for this one. Sadly, the paranormal element is minimal and decidedly half-assed. It could have been replaced by a simple disease and that would have been it. 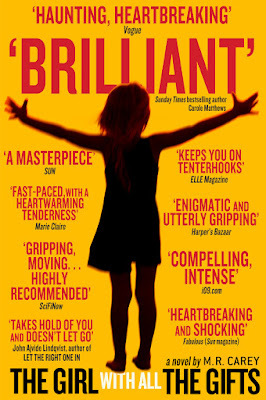 In the end, this novel is a quick and utterly forgettable read. 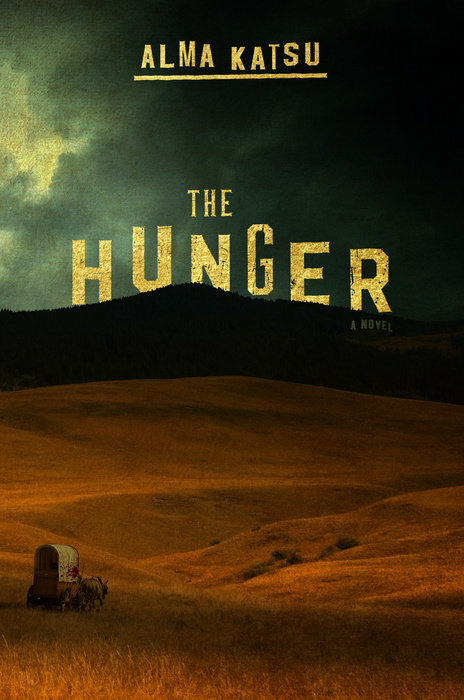 If you're looking for an extremely light read for your upcoming summer vacation, The Hunger could be for you. Otherwise, though it is well-written, the weak plot and subpar characterization made this one a failure to launch. 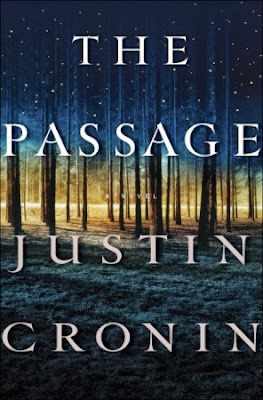 As mentioned in the blurb, the historical backdrop for this novel is the Donner Party tragedy. It's evident that Alma Katsu did a lot of reasearch to get the details right. She embarked on a 700-mile roadtrip that followed the wagon party's route as closely as possible. This allowed the author to experience the terrain, the elevation changes, the weather, the oppressive openness, the loneliness, and the brutal indifference of nature to the needs of man. All of which helped her write an atmospheric narrative that captured the setting almost perfectly. Katsu also managed to convey the isolation, the anxiety, and the tension that plagued the Donner Party. In that regard, the author did a brilliant job. What rapidly killed The Hunger was the poor characterization. Collectively, almost everyone involved is so dumb they make the crew of the starship in Alien: Covenant look like geniuses. 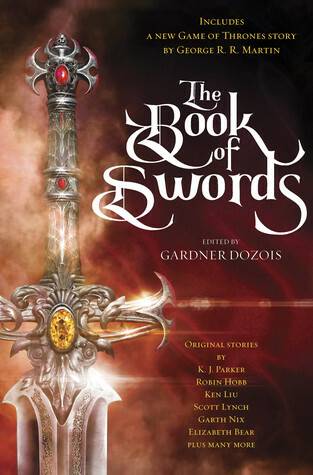 It's not that bad at the beginning, but you quickly realize that most of the protagonists are not very well-drawn. Other than Charles Stanton, Tamsen Donner, and Edwin Bryant, the entire cast of characters was decidedly lackluster. Another problem is that for the most part, the protagonists' backstories are almost always more interesting than what is occurring in the present. This makes you long for the flashback sequences and care even less for what is transpiring as the Donner Party continues on its trek to California. And when mutilated corpses begin to appear, the fact that you haven't connected with most of the characters means that you can bring yourself to care about what is happening to them. Little by little, I lost interest until I reached the point where I was just going through the motions of reading this novel. The pace is atrocious for about two thirds of the book. The Hunger is a relatively short work of fiction, but sometimes it felt as though I was wading through War and Peace. It gets better toward the end, as we finally get some answers. And yet, it was a case of too little, too late. Indeed, by then I couldn't care much for how Alma Katsu would close the show on this tale. Once again, revelations regarding the backstory of Charles Stanton turned out to be more engrossing than all the storylines that make up the book. Given that we were promised an eerie supernatural reimagining of the Donner Party's fight for survival along the lines of what we saw in Dan Simmons' The Terror, the fact that the paranormal element was so uninspired and a bit contrived was a veritable deal-breaker for me. 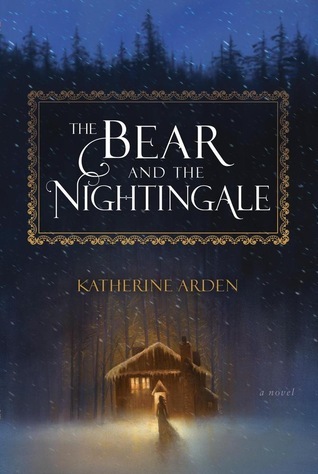 I'm not necessarily a big fan of historical fiction, so the mystical angle is what drew me to this novel. I would never have read The Hunger otherwise. Hence, this was a major disappointment for me and the main reason why I had a hard time getting onto it. Still, I can appreciate how well-written and well-researched this book was. Fans of atmospheric historical fiction works who can overlook the weak characterization might enjoy it a lot more than I did. Personally, coming in expecting something similar to Simmons' The Terror in style, I felt definitely short-changed. Margaret Atwood's The Handmaid’s Tale is up five spots, finishing the week at number 6 (trade paperback). For more info about this title: Canada, USA, Europe. You can now download Mercedes Lackey's Winds of Fate for only 2.99$ here. 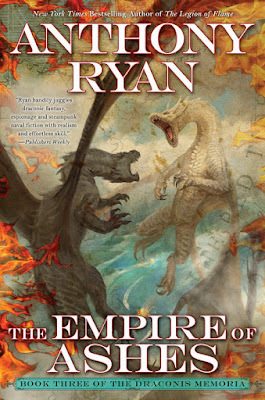 I'm giving away my ARC of Anthony Ryan's The Empire of Ashes to one lucky winner, compliments of the folks at Ace. For more info about this title: Canada, USA, Europe. The rules are the same as usual. You need to send an email at reviews@(no-spam)gryphonwood.net with the header "ASHES." Remember to remove the "no spam" thingy. Modesitt fans got spoiled in 2017 with two different Recluce books published; Recluce Tales and The Mongrel Mage. 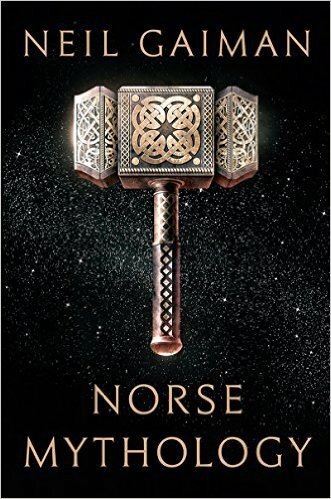 And although the 19th installment in the saga, this one also the opening chapter in a much bigger tale, was a good read, it felt as though the novel was not as self-contained as other similar Recluce offerings. Back then, I believed that The Mongrel Mage was the beginning of a brand new story arc, the first book in what would likely be another two-volume sequence. But it turns out that Beltur has a big story to tell. 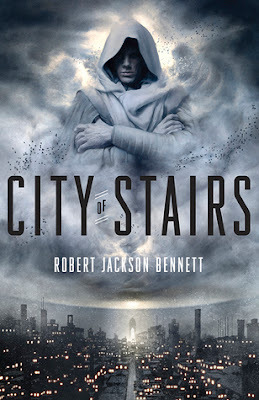 L. E. Modesitt, jr. tried to write this story arc in his habitual two-book format, yet the manuscripts soon reached a size that made it impossible for Tor Books to release them as a pair of novels. Hence, the decision was made to split Beltur's tale into three separate installments. Which explained why The Mongrel Mage did not stand as well on its own as I expected. And now my fear was that Outcasts of Order would suffer from the middle book syndrome. Given the fact that there was never meant to be a second volume, I was afraid that all the good stuff and resolution would take place in the final chapter of the cycle and that this new Recluce offering would act as some sort of interlude. And now that I've read it, it did feel a bit incongruous compared to its predecessors. 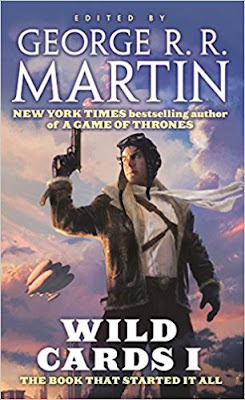 Personally, I've always felt that the worldbuilding was one of the most fascinating aspects of these new Recluce books. It's too early to tell how Beltur's story will fit in the greater scheme of things, yet I'm looking forward to discovering how he'll leave his own indelible mark upon the Recluce timeline. In The Mongrel Mage, we did learn a lot about Elparta. This continues in Outcasts of Order and we discover more about Axalt and Montgren. And while Beltur trains as a healer and as he trains both Jessyla and young Taelya, we do learn a lot about Chaos, Order, and the manner in which they can both be used for healing. As a matter of course, Modesitt continues to explore the relationship between Order and Chaos, one of the trademarks of this series. In Cyador's Heirs and Heritage of Cyador, being able to manipulate both Order and Chaos forced Lerial to test the limits of what he could do, often with unanticipated results. The same goes for Beltur. Although trained as a White Mage, he soon finds out that he's more Black than he ever thought possible. This strange dichotomy doesn't sit well with some of his newfound allies, hence the nickname of mongrel mage. The unexpected discovery that Taelya, daughter of a Black Mage, has the potential of becoming a very powerful White Mage forces Beltur to teach her what he knows before she can hurt herself. As was the case in The Mongrel Mage, the characterization would have benefited from more POV protagonists. In the last Recluce story arc, Lerial, a teenager with an inquisitive mind, was a sympathetic protagonist which was easy to root for. Although his heart is always in the right place, Beltur can be dense at times and he's not as endearing as Lerial turned out to be. 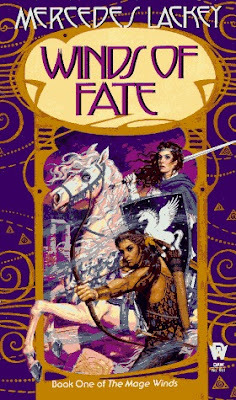 Still, having grown on me over the course of a novel already, Beltur is easier to root for in this sequel. Once again, the supporting cast is particularly engaging, chief among them the baker mage Meldryn, the Healers Margrena and her daughter Jessyla, Jorhan the smith, as well as Lhadoraak and his wife and daughter. Modesitt's novels are never fast-paced affairs and The Mongrel Mage was no exception to that rule. As was the case in every Recluce installment, the author needed time to establish the various plotlines. Once done, you then follow the main character as he or she must learn, experiment, and puzzle out ways to escape a number of predicaments before the endgame can take place. In that respect, The Mongrel Mage followed the classic Recluce recipe and long-time fans end up with another compelling read. Problem is, Outcasts of Order is a middle book and offers nothing in the way of resolution. So yes, the pace can be an issue at times. Its predecessor was an introduction, and this second installment builds on those plotlines to bridge the gap between the events chronicled within the pages of The Mongrel Mage and the finale to come in the final volume. To a certain extent, Outcasts of Order was only meant to give Beltur the opportunity to train more and get more powerful, and to ultimately get the characters to Montgren, where it's now evident Beltur and company will leave their mark upon the history of Recluce. 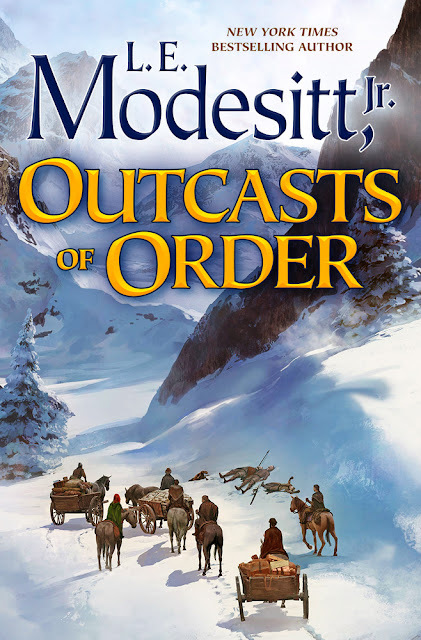 And though it suffered from middle book syndrome, Outcasts of Order nevertheless sets the stage for what should be an interesting endgame. I'm curious to see how Beltur will make history and what obstacles he'll have to overcome in order to do so. You can now download Tad Williams' Shadowmarch for only 2.99$ here. For generations the misty Shadowline has marked the boundary between the lands of men and the lost northern lands that are the lair of their inhuman enemies, the ageless Qar. but now that boundary line is moving outward, threatening to engulf the northernmost land in which humans still live--the kingdom of Southmarch. For centuries, the Eddon family has ruled in ancient, forbidding Southmarch Castle, guarding the border against the Qar's return, but now this powerful royal line has been dealt a devestating blow. The monarch, King Olin, is being held captive in a distant land, and it falls to his inexperienced heirs to lead their people in a time of growing danger and dread. It is on the two youngest Eddons that the heaviest burdens fall. The twins Barrick and Briony, who in such evil times have only each other, may lose even that bond as darkness closes over them. 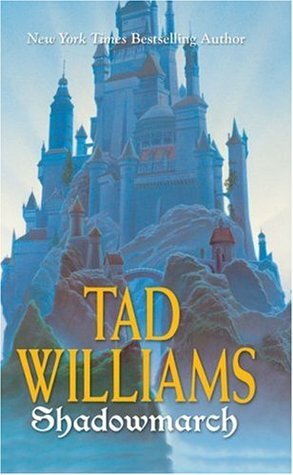 As the Qar's power reaches out across their land, will Southmarch Castle, the only home they've ever known, become in fact what it has long been called--Shadowmarch? Self-accusation is a cold bedmate. I've owned this novel for over two decades. The time has come to finally read it. . .
Today only, You can get your hands on the digital edition of Wild Cards I, the book that started it all, for only 2.99$ here. There is a price match in Canada. 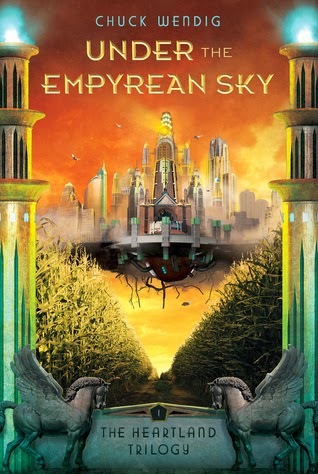 You can now download Chuck Wendig Under the Empyrean Sky for only 0.99$ here. 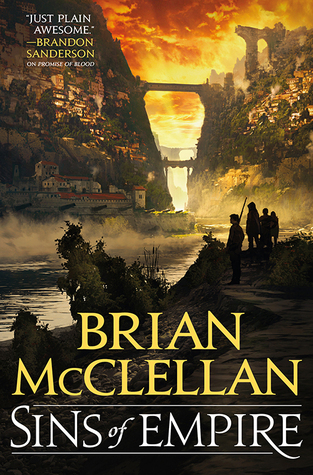 You can now download Brian McClellan's Sins of Empire for only 2.99$ here. There is a price match in Canada. Yoav Blum's The Coincidence Makers was a bestseller in Israel when it was first published in 2011. Not sure why it took so long, but the novel is now being translated and released in eleven countries. Reading the cover blurb for the first time, I was immediately intrigued by the premise of the story. Advance praise raised my expectations, which is seldom a good thing. In the end, though the book is a fun tale about fate and free will, The Coincidence Makers never came close to living up to the hype. It's an entertaining novel, no question. Something light, good for the morning commute or a long weekend vacation. But it's not a story that makes an impression, or something that stays with you afterward. As I mentioned, the premise hooked me up from the get-go. Yoav Blum weaves a clever and imaginative story in which seemingly random coincidences turn out to be carefully orchestrated series of events meant to engender specific outcomes. In the beginning, those inventive threads make for an enjoyable read. Even though you have no idea what this novel is supposed to be about, it's fun to follow Guy and Emily as they must create coincidences to alter the lives of their targets. 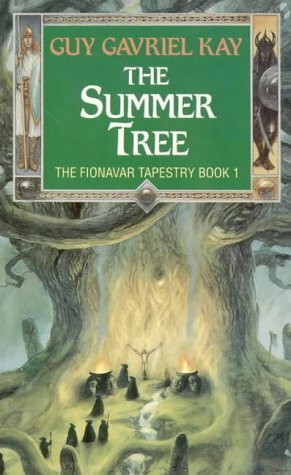 Although Blum's tale is unique and quite original, the apparent lack of direction makes you gradually lose interest as the chapters come and go. 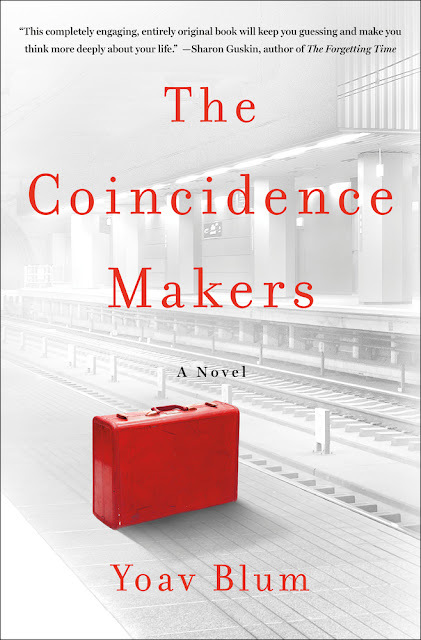 The Coincidence Makers weighs in at only 291 pages, yet it often feels as though you're reading a doorstopper. The pace can be extremely slow and the plot drags along at a snail's pace. The structure of the book probably doesn't help. Indeed, some chapters occur in "real time", while others are flashbacks scenes focusing on the characters' training as coincidence makers, and some feature extracts from coincidence making manuals. For some reason, I found it hard to connect with the protagonists. Guy and Emily take center stage and are fully-developed characters. Still, for some reason, I found it hard to root for them. Both of them are broken and flawed and genuine. But there was something missing. Something I can't quite put my finger on. Having said that, Yoav Blum's debut is an extremely well-written and multilayered work of fiction. Had I connected with the protagonists, I reckon I would have enjoyed it a lot more. And yet, there is no denying that the ending was amazing and saved The Coincidence Makers for me. A bit more foreshadowing in the early parts would have helped the plot not feel so muddled, methinks. And it would have made the ending even more powerful. Given the fact that Blum's The Coincidence Makers is unlike anything else on the market today, your mileage may vary. A quick perusal of online reviews shows that most people have enjoyed it more than I did. If you can overlook a somewhat drab characterization, and if you usually like a cute story with a fully satisfying ending, this one might be for you. Shame, child, is for those who fail to live up to the ideal of what they believe they should be. 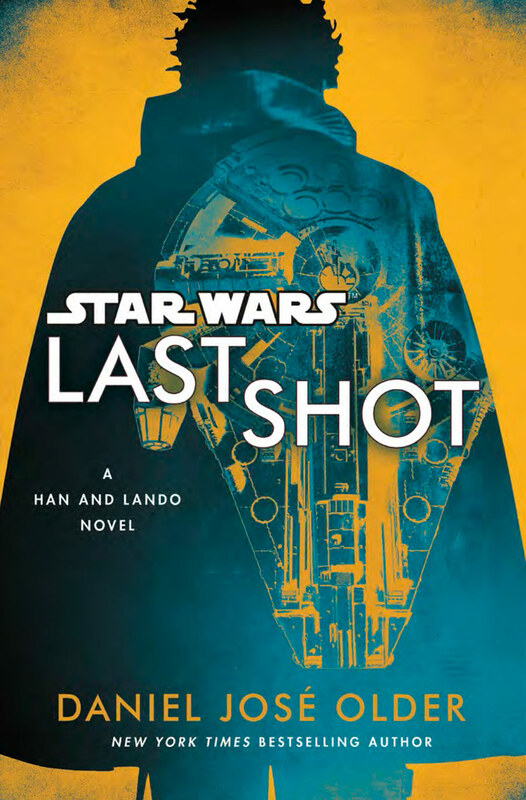 Daniel José Older's Star Wars: Last Shot debuts at number 15. 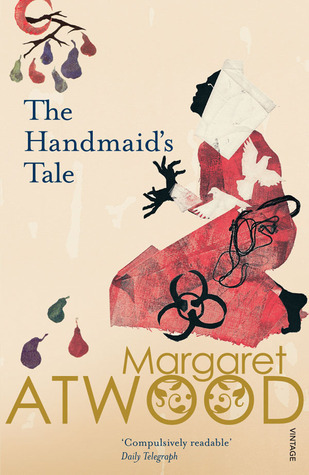 Margaret Atwood's The Handmaid’s Tale returns at number 11 (trade paperback). For more info about this title: Canada, USA, Europe. If you live within driving distance of Montréal. . . I have 6 cases of speculative fiction books to give away. These are comprised mostly of review copies I received in the last 12 months or so, as well as some novels that spent too much time in my "Maybe" pile. They include advance reading copies, hardcovers, trade paperbacks, and mass market paperbacks of fantasy and science fiction titles (in all subgenres). All told, I figure we're talking about close to a hundred books. Spring cleaning means that I need to get rid of them in a hurry, so let me know if you are interested and could get them off my hands in the near future. 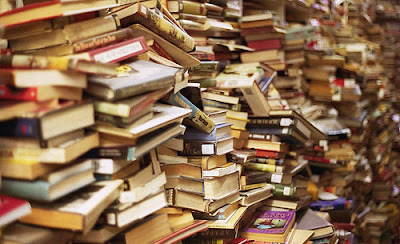 Just send me an email at reviews@(no-spam)gryphonwood.net with the header "BOOKS." Remember to remove the "no spam" thingy. 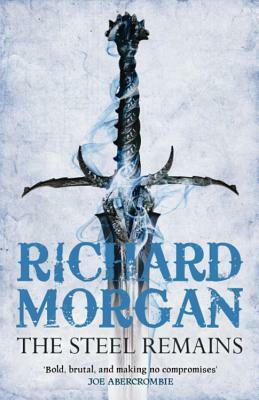 You can now download Richard Morgan's The Steel Remains for only 2.99$ here. For a limited time, there is a huge Recluce ebook sale! You can get your hands on the digital edition of L. E. Modesitt, jr.'s The Magic of Recluce and eighteen of its sequels for only 2.99$ each here! There is a price match in Canada. 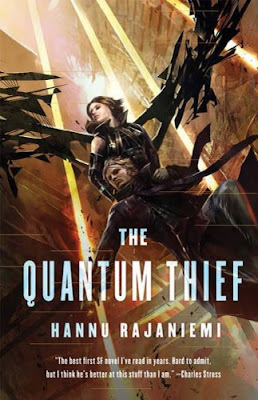 You can now download Hannu Rajaniemi's The Quantum Thief for only 2.99$ here. There is a price match in Canada.